Garbage have confirmed the details for their 20 Anniversary re-issue. Below you’ll find all you need to know regarding the track listings and what you’ll get in each package. The releases announced look fantastic and feature some unreleased material as well as almost every single remix issued during the debut era. The tracks have been remastered from the original analogue tapes. The Deluxe Edition of the album features 3 LPs pressed on 180g vinyl which comes housed in a box. Inside you’ll find a special edition of the Queen Helen fanzine which has been specially produced by fans from around the world. There is also a signed photo by the band. This boxset is limited to 1,000 copies. You can pre-order this from the official Garbage Store. The release has also been issued as a digital release. 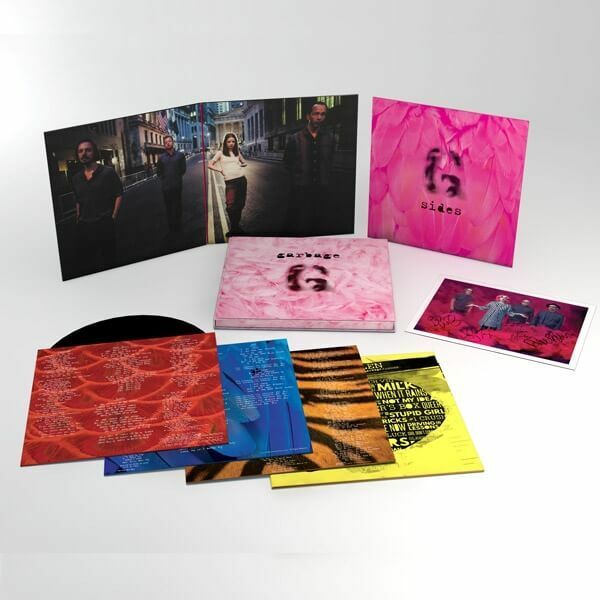 The double LP version, pressed on pink vinyl features the remastered album and also includes a download card. Expect the release to be added to the official store shortly. Release Date: October 30, 2015. Please note this release is not being issued in anywhere else so you’ll need to get it on import from recordstore.co.uk. The one exception to this is in North America, on Black Friday there will be a special Record Store Day, this release forms part of that and is limited to 2,000 copies. This happens on November 27. The CD edition featured the full remastered album and b-sides. 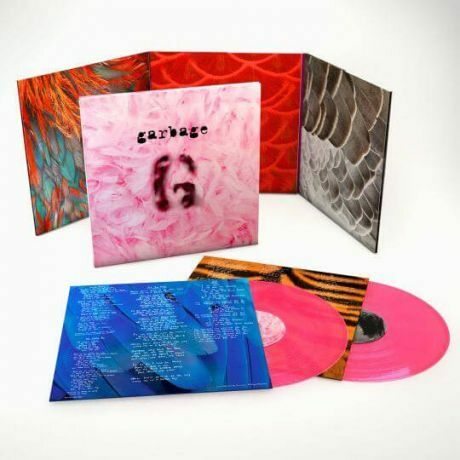 You can buy this from the Official Garbage Store, or if you are in Europe the best place is from recordsstore.co.uk. This release will be in standard high street stores. The releases above have digital versions but in all honestly if you are planning on getting a digital one you should just go for the one below.